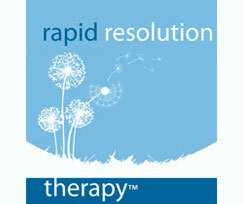 Hypnotherapy has long been in the news because of its benefits for weight loss. I have found it to be extremely useful in helping my patients lose the weight they want to lose and in keeping it off. It is not magic and one still needs to do the work. Hypnosis makes it easier to do the work. Why? Because it works with unconscious motivations, patterns and habits. I believe we all possess the tools to help us lose weight but we don’t tap into those tools because we eat for reasons other than true, physical hunger. Hypnosis will make it easier to distinguish between real, stomach hunger and emotional hunger. It helps people feel like they want to make healthy choices rather than thinking they “should” make those choices. You will still have to use willpower, but it will be easier to use it. With the gastric band hypnotherapy program, it will be easier to realize when you have eaten enough to sustain health so that you can stop before you overeat. The weight loss with this program is usually steady and sustainable. This means there is no “diet” to go on and no diet to go off, making it easier to keep the weight off. You will learn how to change your relationship with food and deal with feelings of anxiety, sadness, frustration, etc. without turning to food. This entry was posted in Diet, Gastric Band, Hypnotherapy, Relaxation, self help, Virtual Gastric Band, Weight Loss and tagged diet, eating, gastric band, hypnotherapy, relaxation, stress, weight loss on May 22, 2014 by Linda Walter, LCSW.